IS NOTE ACCURACY IMPORTANT IN MUSIC? Is perfection in music possible? To an average ear missing a note or two will go unnoticed, and might even garner positove feedback after playing. Unfortunately complex pieces such as Bach require tremendous note accuracy. While it is true that practive makes perfect, there are also a few easy to follow step-by-step tricks that can help improve your note accuracy. Read more in the discussion: Is note accuracy important when playing classical music? At what age did most professional musicians begin learning their instrument? As people, we have an innate desire to create, and experience music. This desire then leads us to express ourselves through musical insstruments. We truly desire to be like professionals, but are stifled at the potential amount of time required to become proficient our instrument. The question of “what is the best age to learn a musical instrument” is always a reoccuring question. They say music is the passport to the soul. Never more is this true than in the Central American nation of Guatemala. As a struggling yet burgeoning nation, Guatemala encompasses a number of styles and expressions within their music. This includes the popular folk music style of Nueva cancion, which effectively captures the struggles of the common people. Their musical escapades also entail songs of political and present day issues, along with their rich and storied history. Guatemalan music emphasizes the guitar as much as the vocals. In fact, it is quite common to see villagers gather near bonfires and simply sing and dance the night away. In recent years, a number of tourists and guests have also ventured to Guatemala to study their unique and innovative musical styles. There are countless schools in Guatemala that teach music to locals and visitors. In fact, one of the top music programs is centered at the Universidad del Valle de Guatemala. From classical to contemporary music, this popular institution offers a number of musical and instrumental classes for students. Students can also attain certification in music production, along with songwriting and Guatemalan music history. There are also courses in baroque and romantic music, which date back to the early European Renaissance. In fact, Guatemala was one of the first nations in the New World that was exposed to European music. This was courtesy of European travelers and explorers that landed in Guatemala back in 1524. While traditional folksongs are at the heart of Guatemalan music, contemporary and modern music also plays an essential role. The influence of Caribbean salsa continues to grow in national popularity. The addition of Garifuna influenced punta is also very popular among the younger crowds. As a result, there are countless contemporary bands in Guatemala that perform these musical styles at clubs and nightspots. They also teach anyone that is interested in this style of music, as well as Latin Pop and Rock. With the influx of Mexican immigrants, Mariachi is also becoming a mainstay in Guatemala. In fact, there are several Mariachi bands that perform on a nightly basis. Students simply need to contact these local and regional bands to learn at their pace and speed. While Latin Rock music sweeps the nation, Guatemala still preserves their traditional music scene. In fact, the national instrument of Guatemala is the Marimba. This popular instruments falls under the percussion family, and consists of wooden bars with resonators. The instrument has a piano like appearance, however, is considered a form of the xylophone. With technological advancements over the years, the Marimba has been streamlined in several areas. This includes its tone, along with the mallets used to strike the bars. The instrument has its roots in Northern Guatemala and Southern Mexico. There also several tutors and music shops that also teaches the Marimba to students and enthusiasts. To tap into this cultural force in rural Guatemala, most students are advised to read Maya Achi Marimba Music in Guatemala by Sergio Navarrete Pellicer. This popular publication walks you through every musical aspect of the instrument. This includes its history, along with its impact on modern and contemporary music. The book is also equipped with a CD that offers step-by-step instructions and songs. Guatemalan music continues to capture the hearts of millions around the world. The music simply soothes the soul, while making people feel happier and better about their lives. With the advent of social media and video sharing sites, Guatemalan music courses are even available on the Internet. 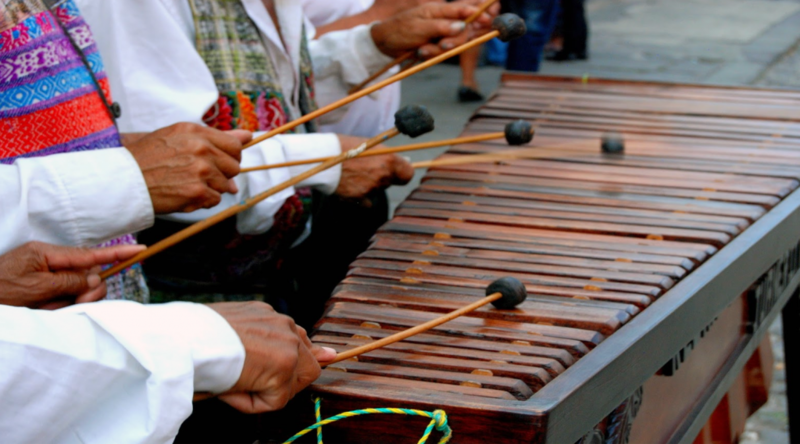 Whether it’s learning the Marimba or traditional Guatemalan lyrics, you are simply one click away from the exciting world of Guatemalan music. The Historia General de Guatemala has also released a series of CDs chronicling the music of Guatemala. This includes music from the Mayan era, as well as the colonial period. The CD also entails music from both the independent and republican eras to modern times. If you’d like to study Guatemalan music, simply contact your local consulate. They can connect you to universities and schools that teach a range of musical styles and disciplines. Speaking to music teachers and instructors is another way to access Guatemalan music courses. With so many options and choices available, it should not bee hard to study music in Guatemala. Should Skype be used as a teaching tool in the classroom? Whenever we think of Skype, a picture of video chatting with our friends, and loved ones, autonatically flashes into the screen of our minds. What if I told you that skype has the potential to be a education classroom tool? What if i told you that not only could it be a personal communication widget, but could also serve as a platform for learning, and advanced interaction. Has the past affected the present way of absorbing, teaching, and generally experiencing piano music? Is a more free and improvised syle of classical music the best there is? Or should a composer be detailed in following his sheet music? What exactly has changed in the techniques used by earier composers, to now? Learning to play the piano is often a very nerve wrecking, yet exciting experience. At first, you are motivated and enthralled by the opportunity to learn to play all your favorite songs, and melodies. You become overly excited and expect to make progress immediately. After your first few lessons you grow impatient, and discouraged that youre not getting your scales right, or you cant remember the names of set keys. Its all a process, like learning to walk after months of crawling. There are certain tips that you can follow that will greatly improve your life as a musician, and have you playing your favorite tunes in no time. Here are some advice for how to discover new piano repertoire! Copyright © 2019 Judith Hill Music. Powered by WordPress. Theme: Accelerate by ThemeGrill.